Shnat is our 9 month gap year program in Israel for 18 years old school leavers. 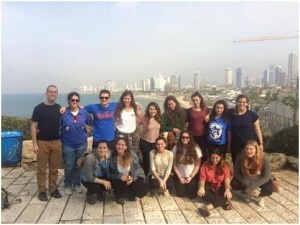 The program has four componenets; Shorashim– 3 months on Kibbutz of group bonding and learning, South Africa– Spend a month on Machane In South Africa being Madrichimot, Chava– 5 months living in an Israeli city teaching English in schools and afterschool clubs and Poland, a week long journey where the group explores the holocaust both in a traditional way, and through the lens of our Habonim and Dror predecessors who were integral parts of the ghetto uprising. 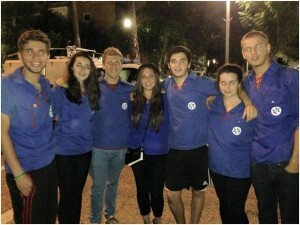 A unique aspect of the Habonim Dror Shnat program is the emphasis placed on the group experience. The participants live in a group, or kvutzah, with whom they share their day-to-day living with as well as many personal experiences. It is through this Kvutzah that individuals are urged to take responsibility for both themselves and others. Each Kvutzah discusses values and tools to help them live and work together and create their own culture and norms, allowing their individual and collective creativity and identity to be expressed. This intense group experience allows participants to create meaningful and close relationships with each other, lasting for many years to come. 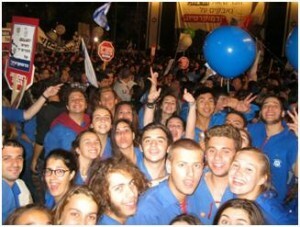 Shnat is an unparalleled opportunity to understand, explore and experience both Israel and Socialist-Zionism. Spending 9 months in Israel allows chanichim to experience living in a Jewish society, as they immerse themselves, over the course of the program, in Israeli culture and society. Shnat is an incredible social experience: living with a group of friends in Israel, and engaging with Israelis and other foreigners on similar programs, and the country itself – you’ll have the time of your life. Trust me! Download the Shnat brochure here.